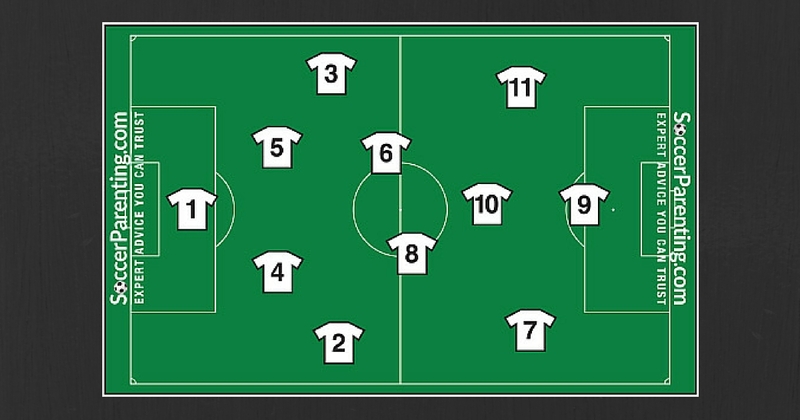 This numbering system is based upon 11 v 11 soccer. While younger age groups will need to modify the positions and roles, the basic principles and roles still apply. It is also important to note that many players, especially below the 15/16 age range, are capable of playing multiple positions and will fit multiple descriptions below. It is important to recognize this and to develop the players accordingly. This information was borrowed from another source. If you would like to read the full article, it can be found here.